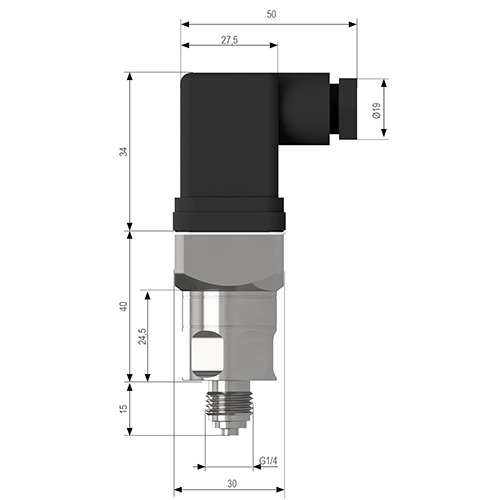 The pressure sensors are ideally suited for measuring of static and dynamic absolute pressure in liquids and gases. 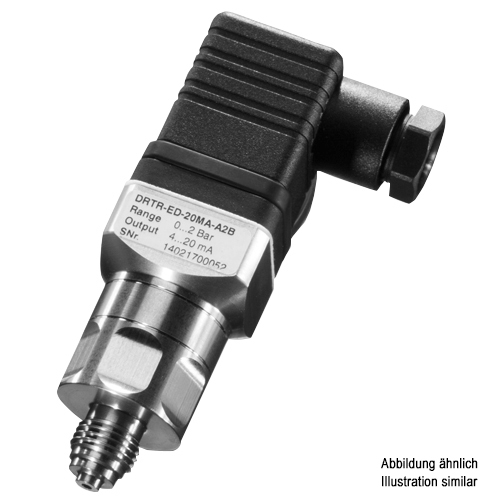 The pressure transducers of the DRTR series transfer the measuring value as a calibrated and temperature compensated standard signal 0…10 V or 4…20 mA. The robust probe housing with the protection class IP65 is made of stainless steel and has a ¼“ external thread as process connection. However we recommend to make a media compatibility test if especially critical media like e.g. in electroplating applications (iron trichloride) or oils with undefined additives are used.